I love teaching skills which will enable you to be successful now and in the future!!! 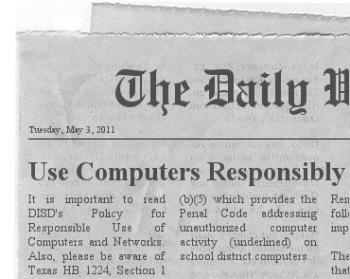 DISD's Policy for Responsible Use of Computers and Networks. From the Administrative Office: To obtain a Skyward Family Access ID and password, parents may stop by the Administrative Office any school day (from 8-12 and 1-4) to register for an account. Bring a picture ID.